And that’s just one neighborhood team. 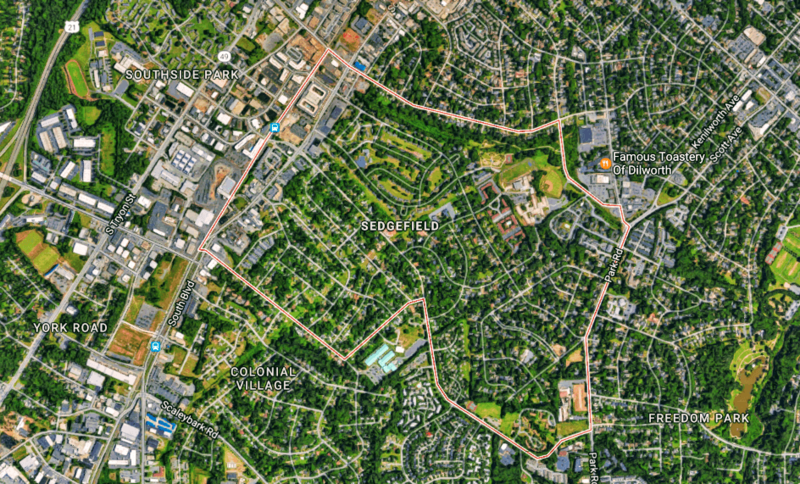 Plaza Midwood and South End are also rocking, as is the City of Charlotte’s team and corporate groups at Queen City Bicycles, Bank of America, Duke Energy and others. At this writing (Thursday morning), Way2Go CLT had avoided more than 27,000 vehicle miles traveled (VMTs) by individuals driving alone, a strong start toward the 1,000,000 VMT goal by the end of the program’s trial date October 31. Given concerns over the city’s fast-growing traffic congestion, this is as important an urban initiative as there is in Charlotte today. Consider these numbers, presented by Sustain Charlotte leaders Shannon Binns and Meg Fencil at Way2Go CLT’s media launch March 1st. Yet, only 7.2% are frequent adopters of these sustainable mobility alternatives! The city recently announced a goal to boost that last number to 10%, but that is still significantly below other trendsetting cities in America and Europe. And that’s why we at Integra Architecture jumped in as one of the cosponsors, along with transportation firm Kimley-Horn and the state’s and city’s transportation authorities. The only thing left at this point is to do everything in our power, and we mean in EVERYONE’s power, to spread Way2Go CLT deep into every neighborhood and company in the city and county. Share Sedgefield’s inspiring story, as told by Scott and Will, and let’s blow past that million-mile goal. A special thanks to Chris Harker, owner of Triple C Brewing Co. on Griffith Street across from Sedgefield, a long-time supporter of Sustain Charlotte and gracious host, beers and all, of the interview below.